The Institute interviews Robert Matthews as he prepares to address the Institute’s forthcoming National Conference: The UK’s Role in Global Forestry. Robert Matthews is a Science Group Leader at Forest Research at the Alice Holt Research Station in Surrey, where he has worked for over 30 years. He is an authority on forest mensuration, growth and yield and an internationally recognized expert on forest carbon management and forest carbon accounting. 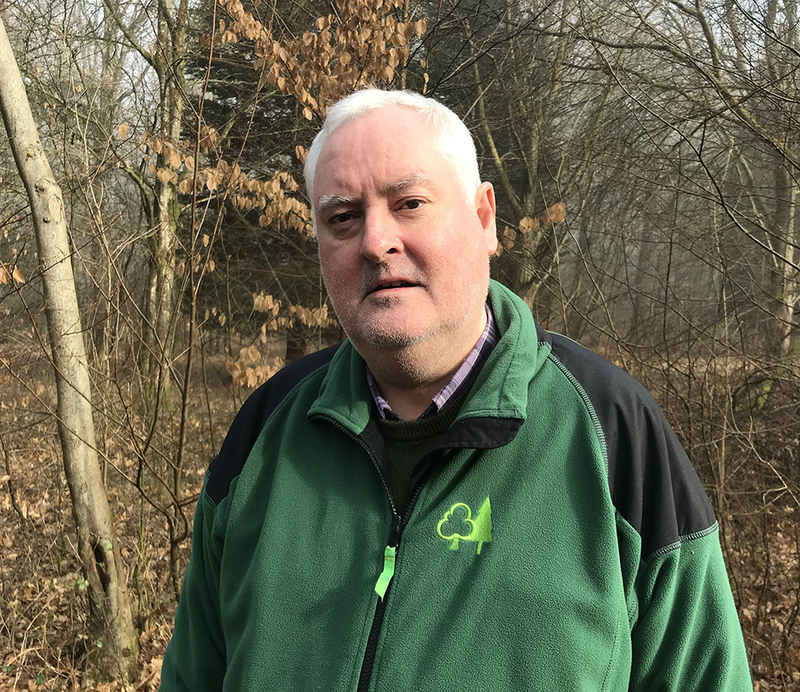 He is the lead author of Forest Mensuration and Forest Yield, the UK national standard handbooks on forest measurement methods, and predicting forest growth and yield. Robert was co-author of one of the first scientific statements on the role of forests, forest management and timber utilisation in the carbon balance and developed the first analytical forest carbon accounting model, CARBINE, in 1988. He has contributed actively to the work of the Intergovernmental Panel on Climate Change since 2012 and is lead author in the preparation of the IPCC’s Sixth Assessment Report and in the development of refined IPCC guidance on compiling greenhouse gas inventories. My presentation aims to celebrate some of the key contributions made by people in the UK to taking action in the forest sector to limit climate change. I also hope to highlight how the UK has learned some critical lessons from people working on this issue in other countries. I’ll also highlight some key challenges for the future. It is nearly 30 years since the signing of the United Nations Framework Convention on Climate Change. My presentation offers an opportunity to take stock of our attempts to take action on climate change in the forest sector, recognise what we have achieved and where we have been successful. But it’s never been more important and urgent to take strong action on climate change, so we also need to review what has not worked and where challenges remain. This is also the centenary year of the creation of the Forestry Commission, Britain’s national forest service until a few years ago, still active in England and a progenitor of its successor organisations in Wales and Scotland. As part of my presentation, it’s appropriate to acknowledge the Forestry Commission’s contribution over the years to a global understanding of the roles of trees and forests in taking action on climate change. I think the single biggest challenge facing global forests is the extent of the demands being placed on them by humankind, to fulfil a range of functions and services – the list is almost endless. Many of these requirements from forests are conflicting. This is particularly obvious when we look at climate change. On the one hand, we want our forests to be a reservoir of carbon and to carry on sequestering even more. On the other hand, we want to harvest the biomass from our forests to make renewable, energy-efficient wood products and for use as a source of energy. This is part of what is called developing a “bioeconomy”. But fulfilling the first of these roles of forests is frequently antagonistic to achieving the second, and vice versa. “Getting the balance right” is critical to ensuring the world’s forests are safe and productive, whilst supporting, rather than undermining, climate change goals. This is a non-trivial challenge and we can see similar big challenges when we consider the other functions and services humans expect forests to provide. Add to this the risks that forests face from a changing environment, as a result of human encroachment, the depletion of water and soil resources and not least climate change, and we can see that forests are facing a ‘perfect storm’ of pressures and threats. What role should the UK play in global forestry? The UK’s role up until now in the debate on climate change and forestry is a good model for wider engagement in global forestry. Setting or agreeing to challenging goals and targets for action in the forest sector, but being prepared to listen to new ideas and accept new evidence, and change direction when necessary. Such a culture benefits a country with a relatively tiny forest area compared to global forests, and it has enabled the UK to ‘punch above its weight’ in shaping international action and policies. I’d like to see this culture continue and grow, and be actively championed and nurtured by leaders and opinion-formers in the UK.